My wife has been on the hunt for a new house maid to watch the kids and do a few chores around the home – NOT an easy task. It’s got me thinking about the whole job interview process again and why so many entrepreneurs find it difficult and get it COMPLETELY wrong. When you’re interviewing someone you’re on a fact-finding mission. You’re investigating how well they’ll fit into your corporate culture and the specific job opening that you’ve got available. This means that you should be doing less talking and more listening. So maybe your wife doesn’t listen to you at home, but this isn’t the place to go off on a mini presentation on how wonderful your vision is, what you’re looking for and how great your company will be one day. No, all that will come later. For now you’re seeking answers, not giving them. You’re evaluating their mindset, not showing them yours. A bad hire can cost you more than you can imagine, so get it right and focus on learning as much relevant information about the job applicant as you can. The way to do this of course is by asking the right questions. Assuming that they’ve already submitted a CV which you’ve gone through, the focus of your questions is not what’s already on the CV, that’s obvious. Besides a candidate’s qualifications will only tell you so much about what sort of thinker they are and how they perform. In fact in many interviews, qualifications may have been attained over a decade ago…which tells you even less about who they are today. Question 1: Sheesh, what did you think of the world cup? The Point: Develop rapport. You want them feeling relaxed not rehearsed. Spend at least the first 3 – 5 minutes talking about nothing. It helps them feel they can trust you and open up – which is exactly what you want. The less relaxed someone is, the less likely they are to let you in behind the ‘professional facade’. Question 2: Tell Me about the Biggest Obstacle You’ve Had To Overcome in Your Career. The Point: Get a better understanding of their performance beyond what’s on paper. Listen carefully and ask a few more variations of this question. The idea is to get them telling you about how they’ve performed in scenarios similar to those they’re likely to face on the job – without making it to obvious that this is what you’re doing. Question 3: What is about this job you’re interested in? The Point: Is this person a good fit for the realities of what the job can and will offer? For example, if someone is looking for a challenging position, they probably won’t last licking stamps for you the whole day. If they’re looking for a new learning experience, are they likely to get that working for you? Finding out why someone is motivated to do something gives you insight into what kind of rewards they’re really after (it’s not always just money) and a chance to evaluate whether or not you can deliver. If you’re unable to offer those rewards, you can be sure you’ll soon have a de-motivated worker to deal with. Question 4: If i hired you now, what would be at the top of your to do list? The Point: What kind of decision-making skills have they got? You want to evaluate how well they understand the priorities of the position they’re applying for. You want to see what they’re thought process looks like. The Point: This gives them an opportunity to show case themselves as though they were making a presentation. This question will usually surprise a candidate, but if you’ve done a good job of providing a none-intimidating atmosphere, then you should get an answer. Whatever the answers, they’re unlikely to be perfect, but they will show you important things you could never get from a piece of paper. The best answers to this question will obviously vary depending on the job you’re offering. Finally, it really helps to know exactly what you’re looking for so that you’re not misled. In other words, don’t be overly impressed with strengths that are not relevant to the position. The same goes for evaluating the impact of weaknesses. Indeed very good five questions -answers discussions. 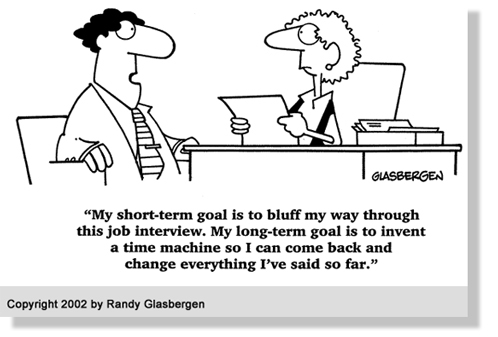 It is clue for both interviewers and interviewee as well. I am so glad I identified this weblog. Thank you for the facts. You make a whole lot of great points in your post. Rated five stars! The very core of your writing while sounding agreeable initially, did not work well with me personally after some time. Somewhere within the sentences you managed to make me a believer but only for a very short while. I nevertheless have got a problem with your jumps in logic and one might do nicely to help fill in all those gaps. In the event you can accomplish that, I will undoubtedly end up being fascinated. Please let me know if you’re looking for a article author for your site. You have some really great articles and I believe I would be a good asset. If you ever want to take some of the load off, I’d love to write some articles for your blog in exchange for a link back to mine. Please shoot me an email if interested. Regards! Lilac or lavender is ideal to cast a tender feel to feast eyes and tug the chore on everyone’ s heartstrings. Available in apple, black, canary, clover, cornflower, horizon, lapis, marine, pool, silver, truffle, and watermelon. A reliable honor attendant will be worth her weight in gold. discussed for a long time. Excellent stuff, just great! This publish truly made my day. You cann’t imagine just how a lot time I had spent for this information! Thanks! It is actually a great and useful piece of info. I’m satisfied that you just shared this useful information with us. Please stay us informed like this. Thank you for sharing. He says having a skinny wife would be bad for business! head on joined palms. The wonders of multi-tasking beauty! blood circulation and also helps fight Cellulite Reduction Treatment. due to itѕ quality contents. Previous PostPrevious Zimbabwe Business: Top 10 Reasons Why Speed Matters. Next PostNext Useless Advertising Agencies in Zimbabwe?